Banana and Nutella are an awesome flavor combination in these Banana Cupcakes with Nutella Frosting. I should probably tell you how these banana cupcakes are perfectly moist with plenty of banana flavor and a not too dense texture. But Nutella Frosting is so good everything else pales in comparison! I’m usually somewhat hesitant to make anything with Nutella because it tastes so insanely perfect right out of the jar. But if it is possible to improve upon perfection, Nutella Frosting does just that. There’s still plenty of that amazing Nutella flavor, it’s just transformed into a fluffier and creamier and even more awesome texture when made into a buttercream. 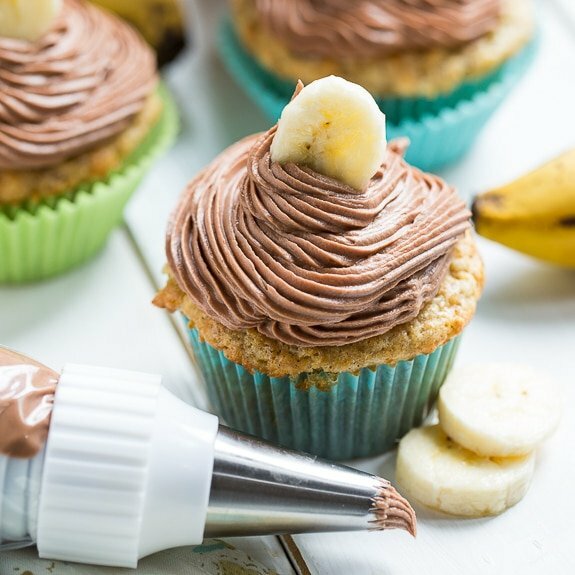 Nutella Frosting is deliciously addictive and the perfect compliment to a banana cupcake if you can refrain from eating it all straight from the bowl. 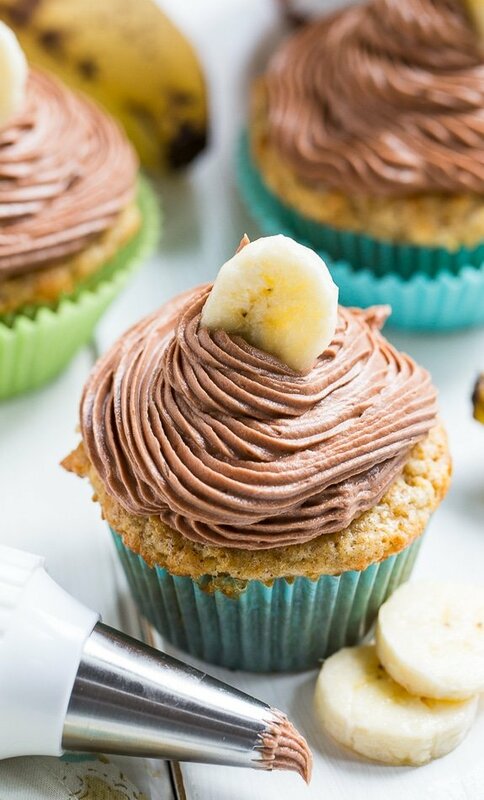 These Banana Cupcakes with Nutella Frosting are sure to become a family favorite! 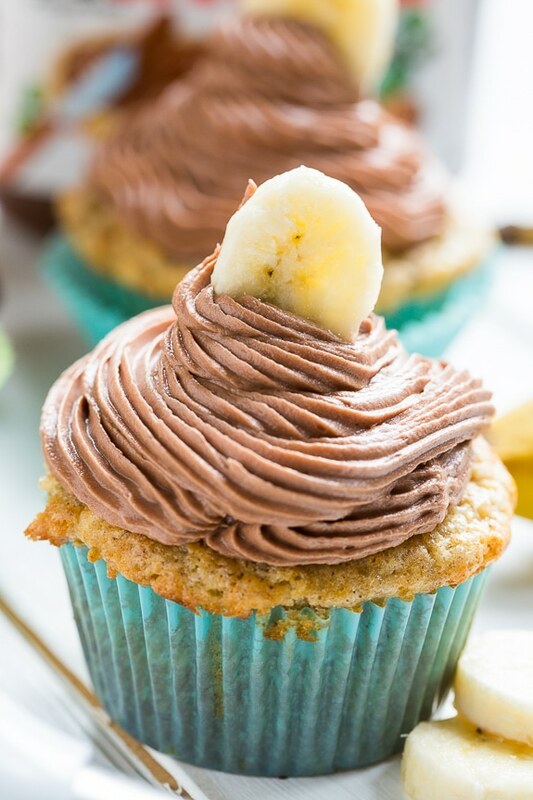 Banana and Nutella make such a great flavor combination in these moist Banana Cupcakes with a smooth and creamy Nutella frosting. Combine flour, baking powder, baking soda, cinnamon, nutmeg, and salt in a medium bowl. In another bowl, mix together mashed banana, sour cream, and vanilla. Using an electric mixer, beat butter and sugar until light and fluffy, about 3 minutes. Add egg and egg yolk and mix well. Add flour mixture in 3 additions, alternating with banana mixture in 2 additions. Divide batter between prepared muffin cups and bake for about 20 minutes, or until just firm on top. Let cool a few minutes in pan and then remove from pan to cool completely. For frosting, beat butter until smooth. Add confectioners' sugar and beat on low until smooth. Add nutella and beat on medium until fully mixed in. Beat in half-and-half and vanilla. Frost cupcakes using a pastry bag fitted with a large tip or with an offset spatula. 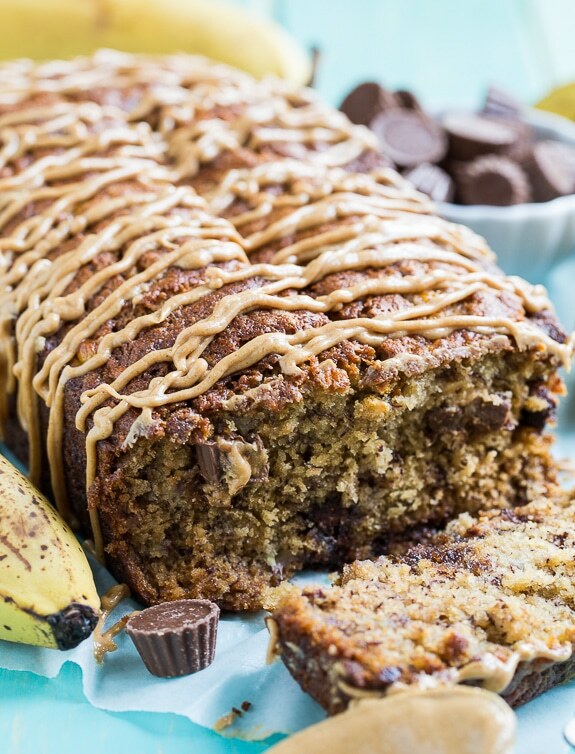 This entry was posted in Cakes, Desserts and tagged banana, bananas, cupcakes, Nutella. Bookmark the permalink. Yum! Yes please.. banana and nutella together can do no wrong! What a wonderful combination!! I just want to eat the frosting…all day!! Oh, my, I think I could eat half a dozen of these right now! Yum. This is a delicious looking cupcake! I really have been missing out by never having had Nutella frosting! It looks so luscious! I love that adorable banana garnish you added to these cupcakes. It makes me imagine taking a bite, right off of the top, of that delicious frosting and a fresh banana piece. Aaaand my mouth’s watering. Great job! Oh my goodness, these are amazing!! 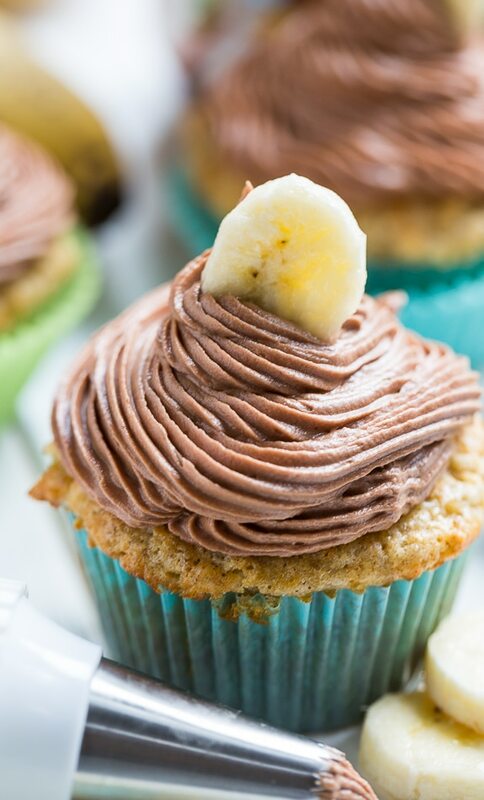 I love all banana baked goods and using nutella as frosting on these is the best idea ever!! Christin, I am with you in thinking that Nutella is just gold right out of the jar, best on a spoon or just spread straight-up onto something simple. However, you’ve convinced me here. 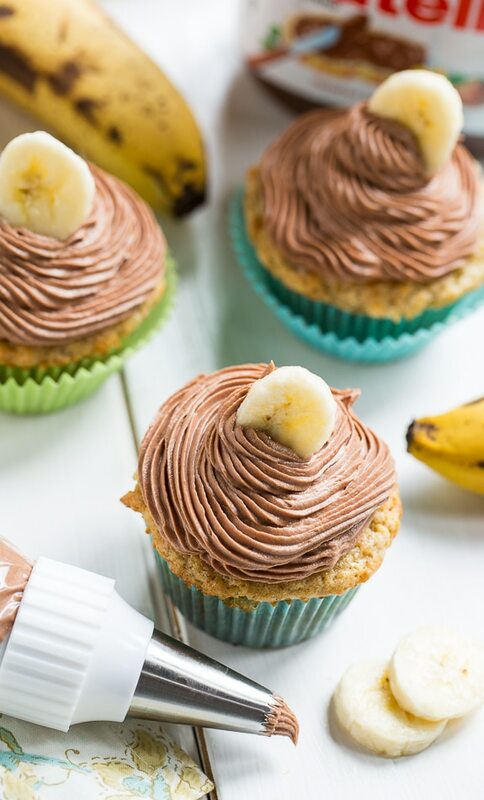 The Nutella frosting and banana cupcake combination sounds amazing. I wish I could pick one up and smell it…is that crazy? Just when I think you can’t possible come up with another banana dessert…. you pull out another amazing one!! Bananas are seriously my favorite, so I love that you love them so much too. These look awesome, especially the frosting!! That frosting is killing me, Christin! These cupcakes look SO delicious! I love the combination of banana and nutella! That frosting looks amazing! Wow it’s like these cupcakes were made for me, Christin! Banana and nutella is the perfect combo, not to mention so delicious! I think I could just eats gobs of that frosting! Pinned! I love the idea of banana and Nutella together – makes my mouth water!